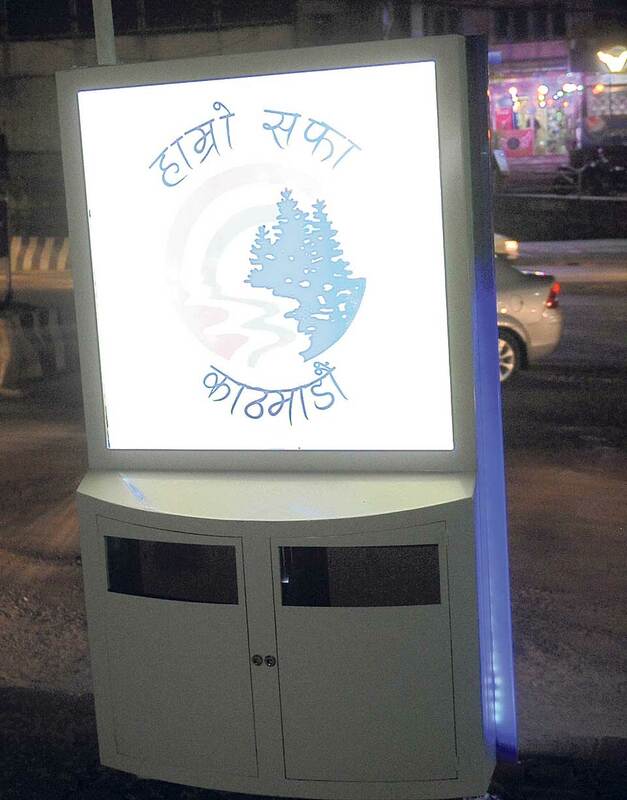 KATHMANDU, Nov 28: As part of its campaign to keep the metropolis clean, Kathmandu Metropolitan City (KMC) is installing around 60 smart solar dustbins in major thoroughfares of the city. Such dustbins not only collect waste but also offer pedestrians facility to charge their phones. It has its own light besides indicator to display the temperature and pollution, according to the company handed the contract to install the dustbins. The metropolis has already started installing the dustbins since Sunday. Ten smart solar dustbins have already been placed in the major roads of the city as of Tuesday. Additional 50 smart solar dustbins will be installed within the next 15 days in various parts of the Kathmandu metropolis, according to KMC officials. Such dustbins not only collect waste but also offer pedestrians facility to charge their phones. It has its own light besides indicator to display the temperature and pollution. KMC Spokesperson Gyanendra Karki said they are planning to install these dustbins in major city roads so that the pedestrians can throw solid waste there. This is expected to greatly help control pollution and keep the city clean. Each dustbin costs around Rs 600,000. 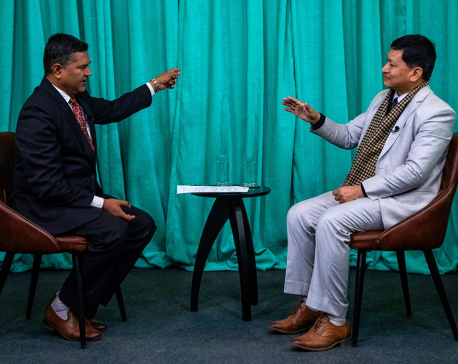 “The dustbin will not only be used to collect waste but also for other purposes like advertising and providing information to the general public,” said Karki. The investment on these dustbins has been made on public-private partnership model. The KMC will generate some revenue through the advertisement. Krishna Suppliers has been hired for installing the smart solar dustbins. “The smart solar dustbins have already been placed in Bhadrakali, Baneshwar, Maitighar, Thapathali and Sinamangal. 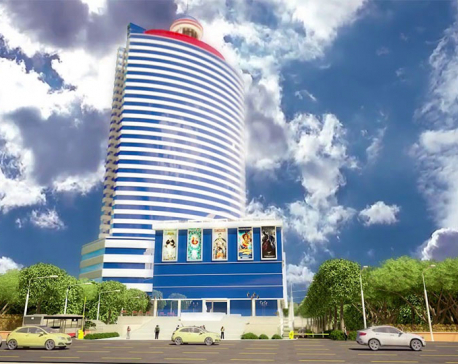 We will place them in other parts as well in the next 15 days,” said the company's Director Sailesh Raj Kunwar. These dust bins are being installed only during the night keeping in view of the possible disturbance to vehicular movement. Around 30 workers are working to install them, officials said. Earlier in 2010, around 4,000 smart dustbins were placed around the city, but most of them were stolen. But this time, the smart dustbins cannot be stolen as it will be firmly rooted in the road and will be too big for stealing, KMC officials said.